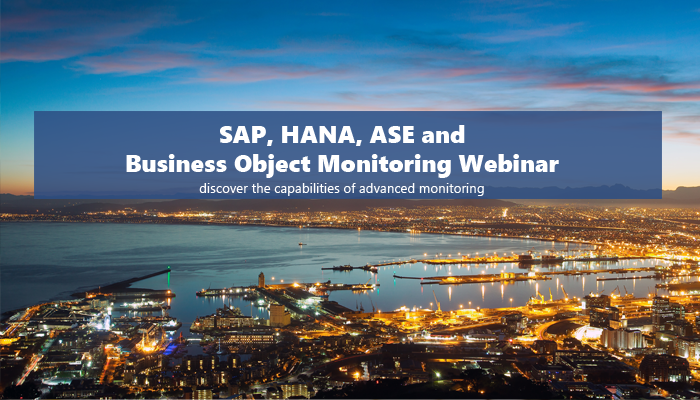 focused on illustrating how you can effectively monitor your SAP, HANA, ASE and Business Objects environment in SCOM. You will learn how the solutions can help you in your own environment and pick up tips & tricks that you may not already know. You will leave the session with a clear understanding on the solutions readiness for in-depth monitoring and its direct benefits to your business. The session will run through some real-life scenarios to illustrate how next generation monitoring works. Your presence will add value to this session so make sure you save the date in your calendar!